Maggie Navarro is a prolific real estate agent working in Pasadena, California. 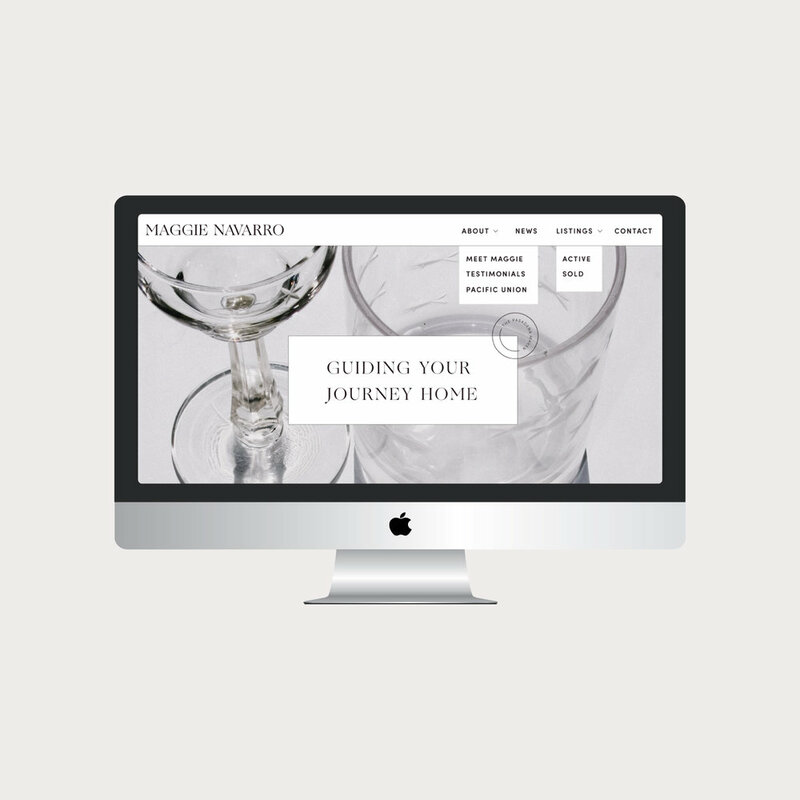 Deemed "The Pasadena Maven," I knew I had to make Maggie's branding and website reflect her eclectic sophistication. I played to the Maven's love of color, especially poppy, and her vast experiences of traveling around the world in my creations for her.